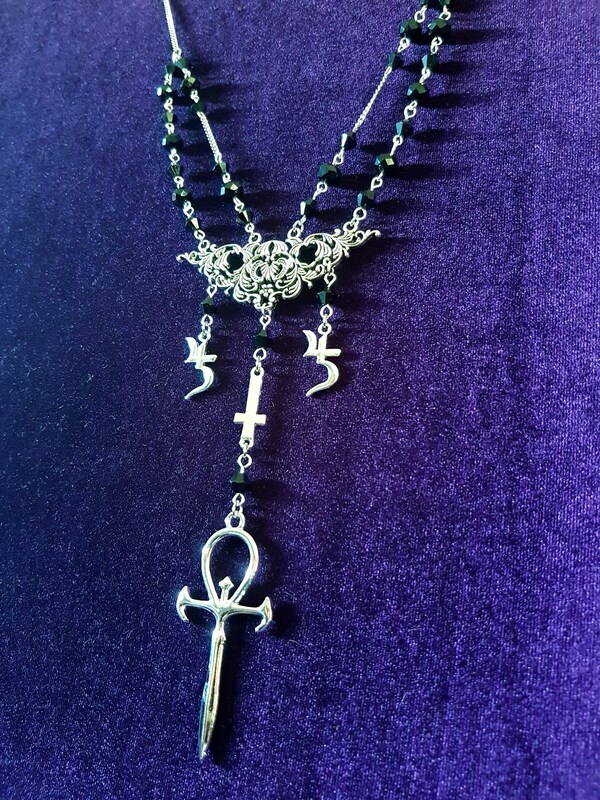 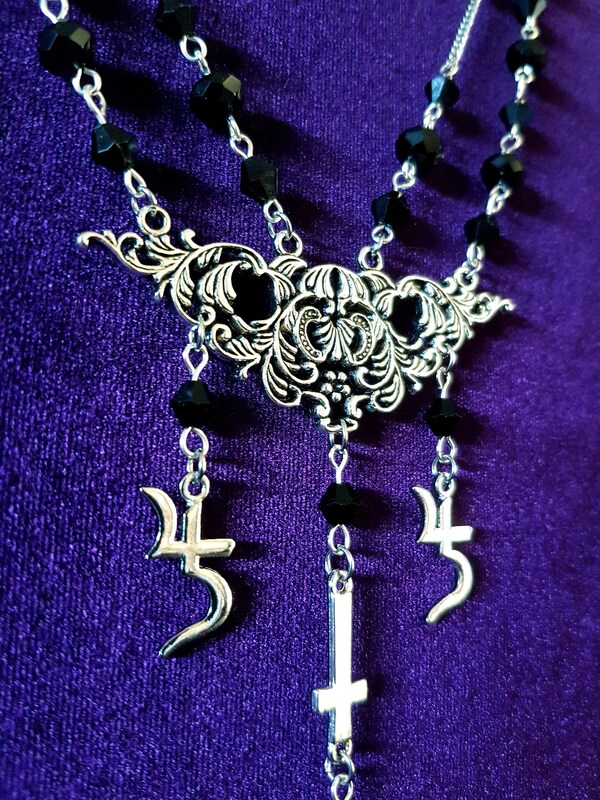 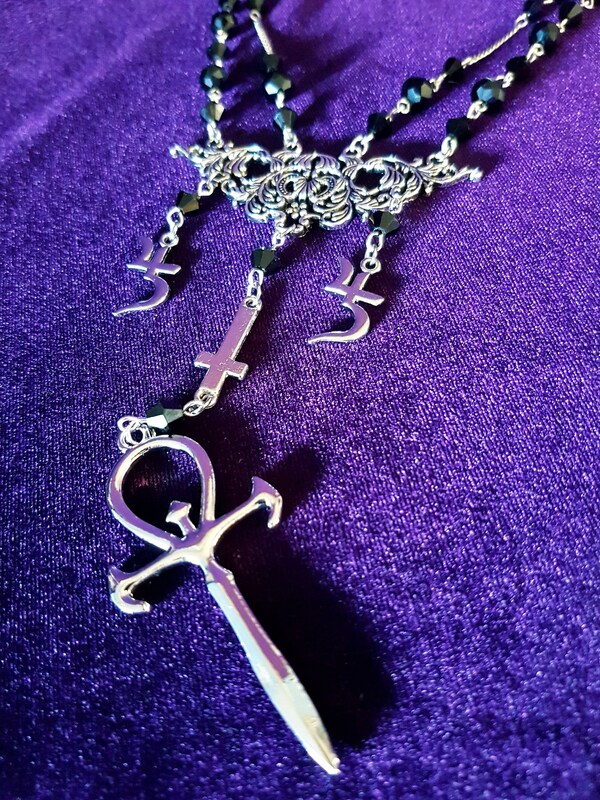 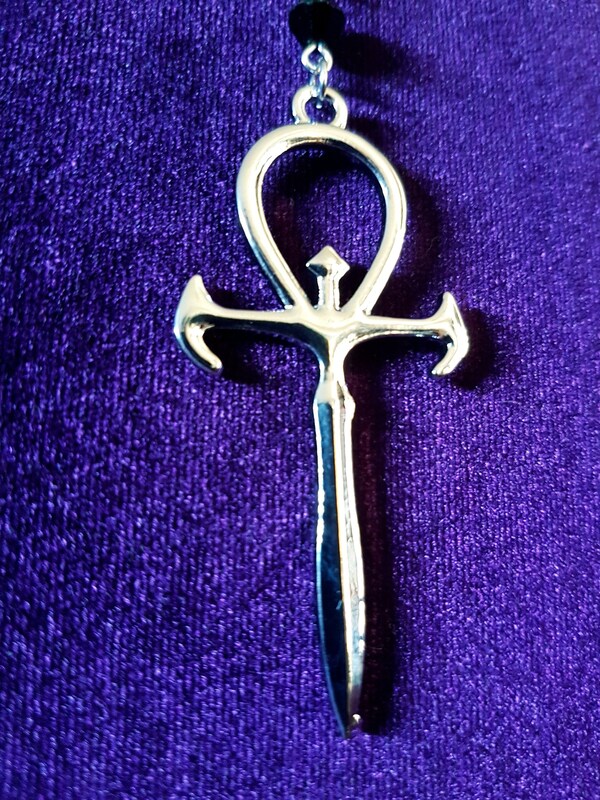 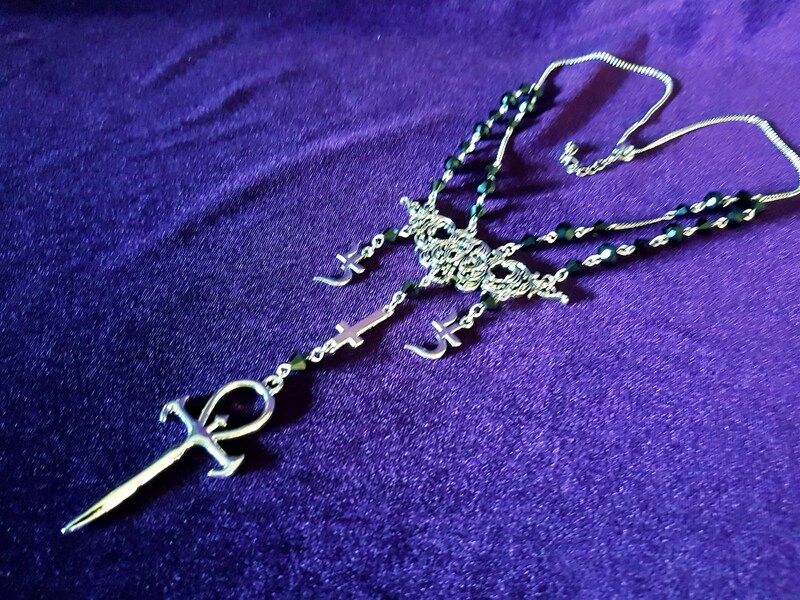 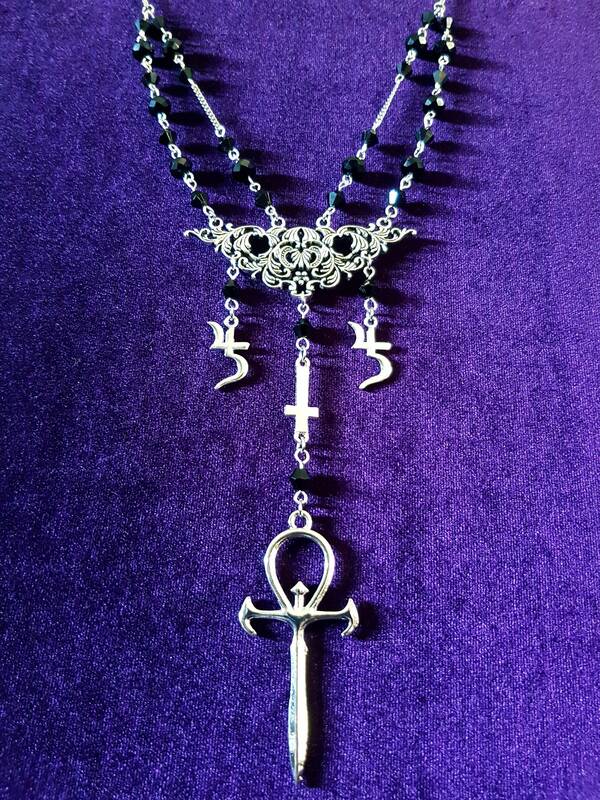 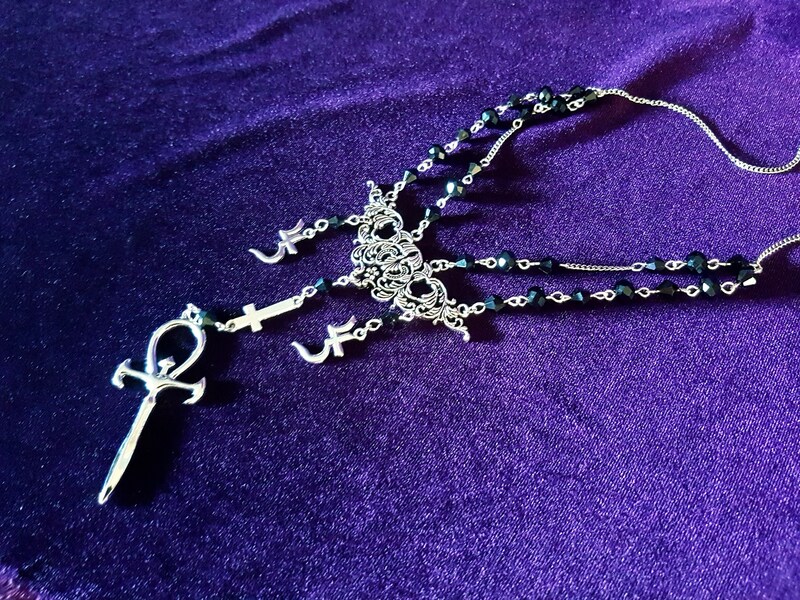 Vampire Ankh Jusa Necklace (Sopor Aeternus Inspired). 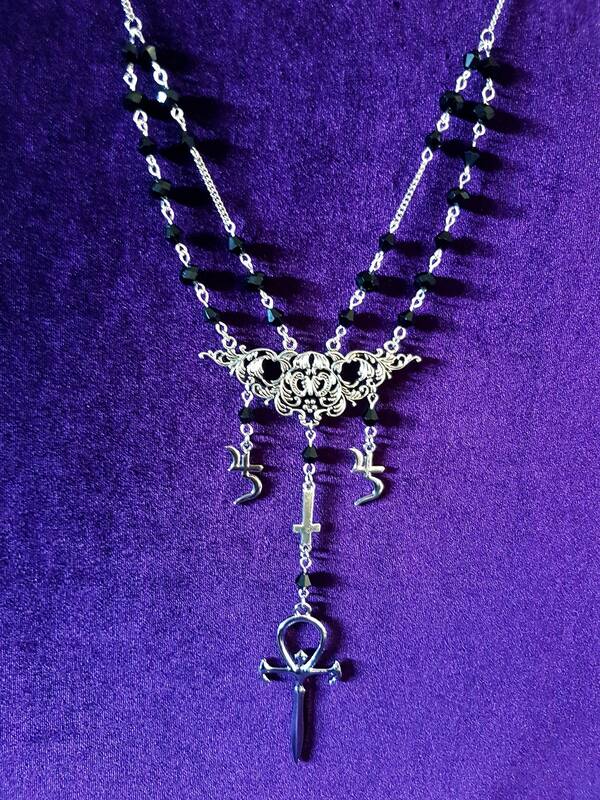 - 45cm in lenght + 5cm extension chain to adjust to your size. 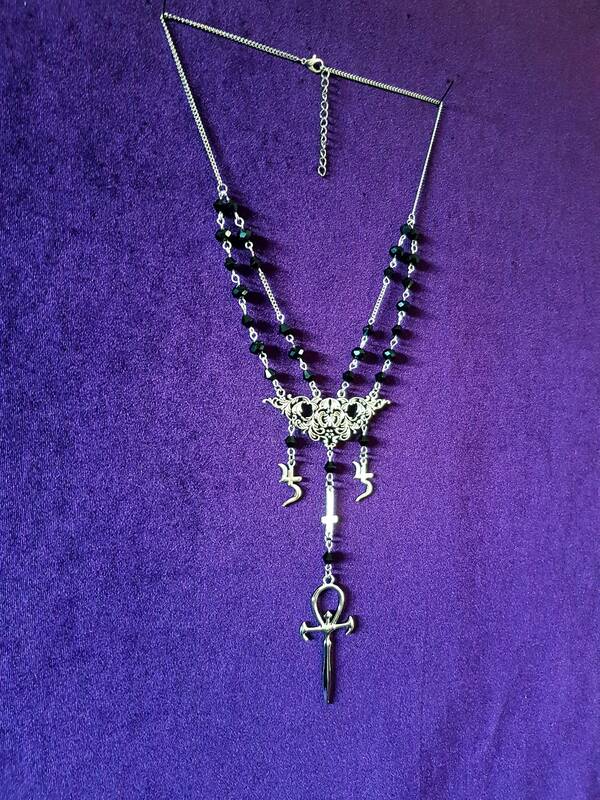 - Silver colour & black shimmering beads. 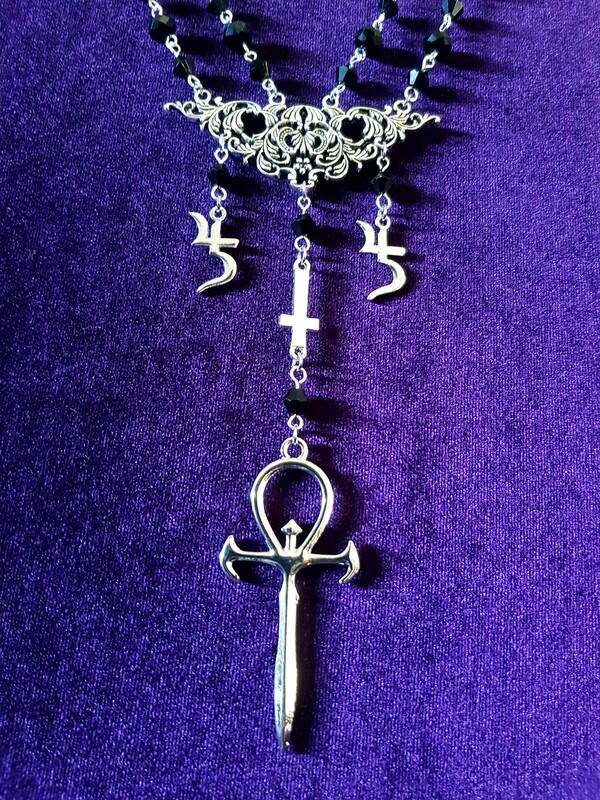 - 2 Jusa sigils & 1 Inverted cross.